Leaders said the bid brought institutions together and garnered bipartisan support, but it’s unclear if it will be useful in the future. 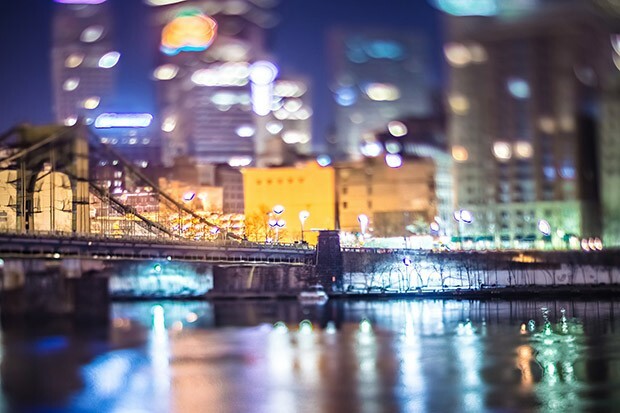 Today, Pittsburgh and Allegheny County leaders released their proposal to lure Amazon HQ2 to the region. Amazon didn’t bite at Pittsburgh and announced this week that it would be creating a split HQ2 in Northern Virginia near Washington, D.C., and in New York City, in Queens. Regardless, Pittsburgh’s failed bid offered $6.7 billion in combined state, county, and city incentives. This is one of the largest incentive proposals ever offered to a company in the U.S., with only a few proposals eclipsing it. Boeing received $8.7 billion to stay in Seattle, Montgomery County, Md. offered a reported $8.5 billion to attract Amazon HQ2, and Newark, N.J. offered a reported $7 billion to HQ2. Pittsburgh Mayor Bill Peduto, Allegheny County Executive Rich Fitzgerald, and Allegheny Conference CEO Stefani Pashman didn’t regret the proposal or the amount they offered. The incentives were mostly in the form of tax breaks. The state offered $4.5 billion in state income tax breaks, and the municipalities offered $2.1 billion in property tax breaks. The state also offered $100 million in funds for infrastructure improvements for the region that landed Amazon. At today’s press conference, Peduto said if Amazon did come to Pittsburgh, it would have generated $5.8 billion in additional tax revenue for the city, county, and school board over 20 years. Of that, $2.1 billion would have been funneled into a special fund to finance a bond dedicated to infrastructure, affordable housing, transit, and workforce training. Amazon would have been partners in funding the bond with the local municipalities, and Pashman said that was in the spirit of how Pittsburgh institutions collaborate. But it’s unclear if the collaboration and equitable goals laid out in the Amazon bid will continue without Amazon being there to offer 50,000 jobs. Peduto said the region hasn’t created an economic-development strategy like the Amazon bid in 50 years. He said it brought together the Allegheny Conference, universities, both major hospitals, the city, the county, and others. “We now have those five economic development strategies fresh,” said Peduto. 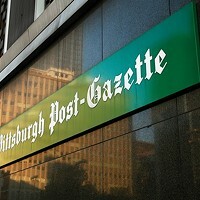 Five sites were highlighted that Amazon could have potentially used to built its headquarters: Hazelwood Green, the former Civic Arena site in the Lower Hill District, a 44-acre consortium of mostly private property the Strip District, the Carrie Furnace site in Rankin, and 152 acres of county-owned land at the Pittsburgh International Airport. The bid also proposed extending Port Authority's light-rail system if Amazon moved in, but didn't suggest where the light-rail should be extended or what new communities it would serve. 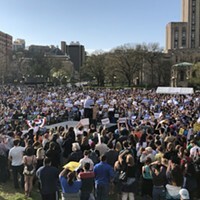 Peduto also noted that a bipartisan group of legislators in the state government also supported the effort and hinted they would support a similar effort in the form of legislation, even if companies were offering somewhere in the realm of 25,000 jobs. With uncertainty around what goals the Amazon bid accomplished, Peduto and Fitzgerald were asked how much money and public employee time was put into creating and marketing the bid. The Post-Gazette reported in October 2017 that regional foundations spent $300,000-400,000 to try to lure Amazon and the city’s Urban Redevelopment Authority spent $50,000. Fitzgerald said no county funds were spent because county staff worked on the proposals in their work time. But county staff’s salaries are paid by taxpayers. Fitzgerald didn’t have any answers for how much time was spent by county staff on the bid, or the legal challenges to fight Right-to-Know requests issued by several media companies to make the bid public. Also of note is Amazon’s decision to split up HQ2 between two cities. Peduto’s spokesperson Tim McNulty said after the press conference the bid was specifically for Amazon bringing the full HQ2 and its 50,000 jobs to the region. With Amazon deciding to split the headquarters, Pittsburgh’s proposal was basically null. The full bid is available online at pghhq2.net.